We’re celebrating our 11th year with a big celebration! It’s all about our clients and our goal to deliver technology to solve our clients’ largest challenges in digital marketing today. Eleven years ago today (on March 19, 2008), we provisioned the very first domain on our platform, ross-simons.com. Here is why we are celebrating our 11th birthday. Our clients are purposefully number one on this list and it’s been that way since day one! They are the reason we all come to work every day and focus on what VALUE we can bring our customers. Even more so, our entire development cycle is 100% built on client feedback and recommendations. Our development philosophy from day one remains - if two or more clients request it, we build it. And, with 2-week development cycles, we deliver enhancements and new products continuously throughout the year. Check out the top innovations we delivered in 2018 to seoClarity. With more than 3,500 brands leveraging the platform, we are grateful for their confidence in our technology. After a lot of hard work and attention to our clients’ happiness and success, we recently were rewarded with an increase of 48 points in the overall NPS score when compared to last year. We're extremely proud of this result and are excited to celebrate this win that comes directly from the people who matter most - OUR CLIENTS! 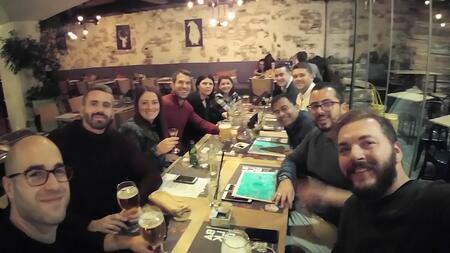 With more than 50 employees across the world, we are so grateful to have such an awesome team behind seoClarity. Our Development and Product Team priority is to BUILD value for our clients with amazing capabilities to solve the hardest challenges in SEO and content marketing today. Our Technical Team works to ENABLE value for our clients. Our Client Success Team, who is the voice of our clients, DRIVES value proactively every day to our clients. 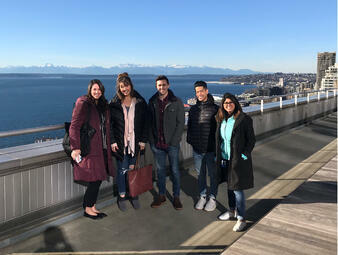 Our Marketing Team CELEBRATES the value our client leverage from the platform. Our SEO Professional Services team ENHANCES value our clients receive from the platform to deliver above and beyond with strategy, advanced technical services, and other ad-hoc projects. Our Operations Team MAINTAINS the value clients get from the platform by ensuring no downtime and regular maintenance and the speed of the platform always over delivers. 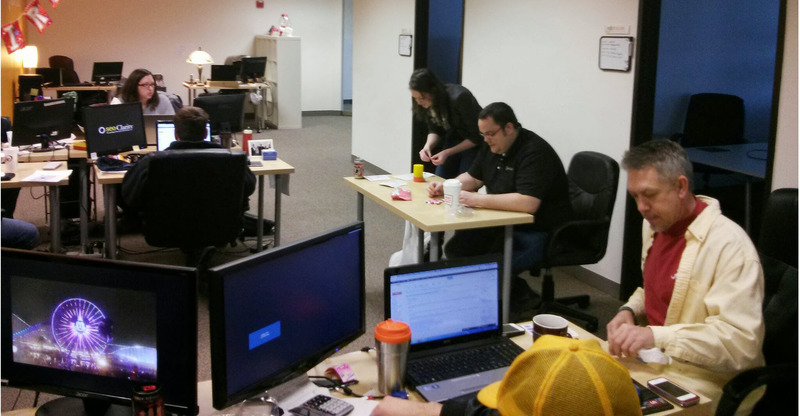 More than ten years ago, seoClarity could never have imagined what the future would bring, including moving to a new awesome space in downtown Chicago in April. Mitul Gandhi and Kalpesh Guard started Actonia, Inc. by consulting for enterprise companies in digital marketing focused on the SERP (paid and organic search) 15 years ago in 2004. SIDE NOTE: Yes, organic search was a real channel by 2004 according to SearchEngineJournal, the practice of SEO dates back to 1994 when the first search engines, Yahoo!, Excite and Lycos launched. Google didn't come about until late 1997. But, their original intention for the business was not to create a SaaS technology company. Mitul and Kalpesh realized very quickly that in order to help their clients more efficiently and to scale their search visibility, they needed technology to help. So, they built what was the start of the seoClarity platform. And, here we are 11 years later, celebrating the birthday of when the first domain was provisioned in the platform. The rest is history! A picture from our office circa early 2010's. New office at 2 N. LaSalle Street in Chicago open in April 2019. Yes, we've already mentioned our awesome Product and Development team, but we hear this over and over again from our clients. The speed and scale of how the platform performs truly enables global support and scales billions of data points right at your fingertips, and it is quite amazing. We are extremely proud of our product development team in their ability to unlock these challenges to be able to deliver data-driven insights at scale. Translation - Our Clients can make the smartest, data-driven decisions at literally the speed of thought! With the entire search-world focused on mobile-first, we enabled our clients to have the best understanding of their search visibility where it really matters - where your customers are. 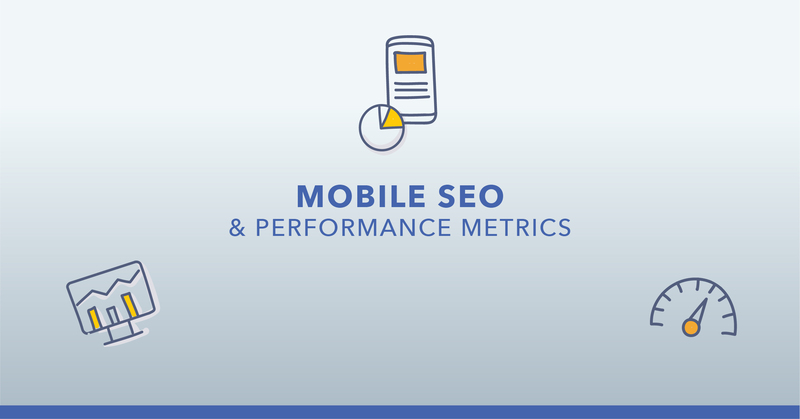 This year, seoClarity officially became the world's largest mobile competitive ranking dataset to truly understand your performance from a mobile-first perspective. You have to see it to believe it! Email us to get the comparison against some of the largest keyword ranking data sets in the world. 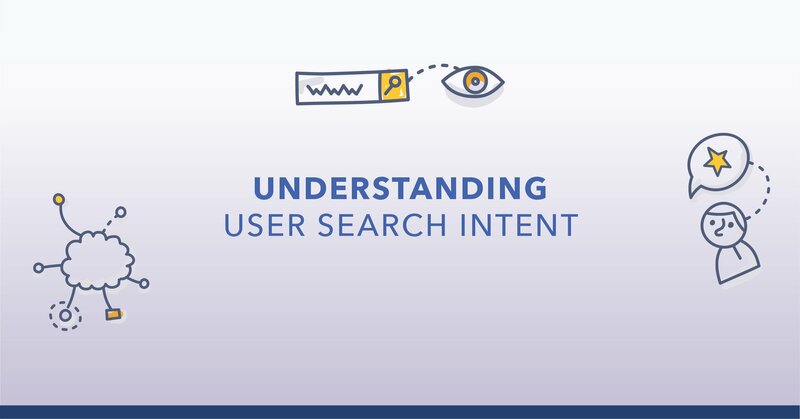 Identify User Intent at Scale: Not only at scale, but with accuracy and within the topic and keywords you want to win in search visibility. Write Authoritative Content: Everyone with an organization cannot be an authority on every product, service, and information around what their company sells. We understood this challenge and leveraged AI to enable our clients to write smart, relevant content for their target audience faster than ever before. Intelligence in Ranking: When attempting to transform massive amounts of ranking data and turn it into actionable insights, we use machine-learning and AI to connect data points so that SEOs can filter, analyze, and retrieve ranking data on-the-fly which further enhances analysis. Site Audits: Clarity Audits continuously learns and evolves to detect issues with artificial intelligence while executing on more than 40 technical health checks. It also includes its own instance of a crawler which allows no limits on the number of pages crawled, crawl projects, or limits on the number of environments. This is a huge victory to celebrate. We listened to clients for years explain the challenge of really understanding their ranking performance - at scale, with absolute truth, and without delay. We deliver ranking data - Reliably. Not a day missed in 11 years! We deliver ranking data - With Freshness. At its core, our platform is built on daily data with real-time, interactive, on-the-fly analysis and reporting. We deliver ranking data - On Scale. All data, all metrics from all countries across all search engines. This isn't an easy feat, and it's not the same with any ranking tool in the market place - especially enterprise-level volumes of data that pose a lot of challenges. Fortunately, they can be overcome. Learn more about how we deliver ranking data at scale and all of the capabilities of our keyword rank tracking. We’ve enjoyed cupcakes with our clients in over 10 different countries. This isn’t a joke. It’s our mission to find the best sweet treat out there, especially if it’s a cupcake. 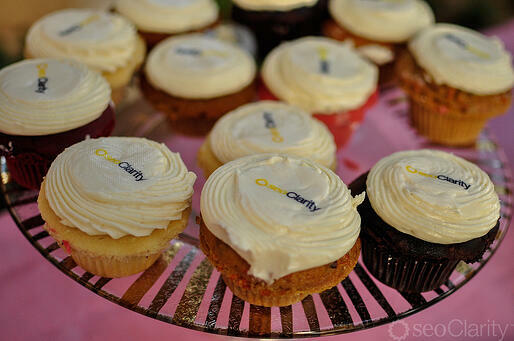 Our Chief Product Architect and Co-Founder, Mitul Gandhi has made the cupcake an informal mascot of seoClarity. If we were a sports team, a cupcake would definitely be plastered on our jerseys. Seriously - Mitul architects seoClarity and he loves cupcakes. Our clients (and our team) really appreciate this passion! To sweet bread in Tokyo. We will never decline an invitation to enjoy the best sweets in the world. (we promise, Mitul will show up there not only to taste your sweet dessert, but to also wow you with the latest innovations and solutions in SEO). You can invite Mitul directly on Twitter @mgandhi or LinkedIn. He'll sure appreciate it! We are always looking for the brightest team members to join our team! 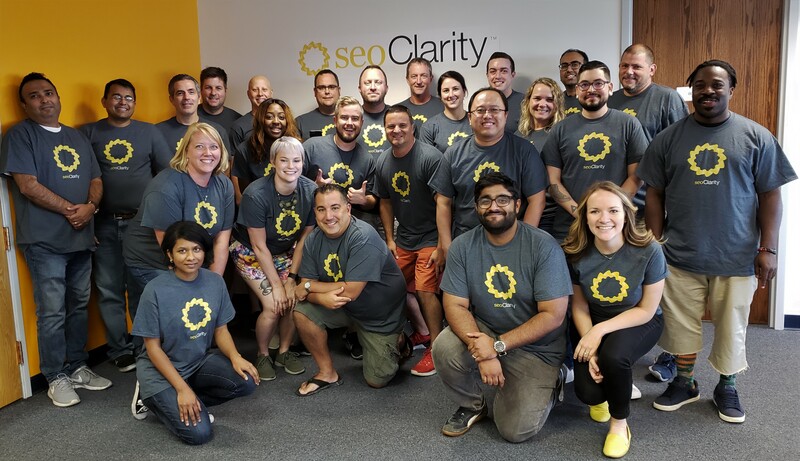 If you love helping clients, are amazing at SEO and content marketing, and/or love to build and work with an innovative team, check out our current openings or send your resume and why you'd be a good fit to careers@seoclarity.net. We are proud of being a 100% bootstrapped company. Our ONLY priority is our clients. They set the stage for our future success and how we respond to their unique challenges. After 11 years of our mantra of “innovate for our clients to solve their unique challenges”, we're so excited to see what the next decade holds. Come along on this exciting ride in one of the most exciting digital marketing channels that combines technical expertise with creativity - the best digital marketing channel to work in (but we could be biased).